The question of who is responsible for buildings insurance during the conveyancing process is not a straightforward one. Once contracts have exchanged, the buyer is committed to completing on the sale regardless of the state of the property. Therefore, the buyer should have buildings insurance in place and ready to take effect as soon as exchange of contracts occurs. Conversely, the vendor may well want to maintain their buildings insurance policy on the property until the sale completes. This way they will be protected in case the buyer fails to complete on the sale – which may be especially likely if the property has been damaged since exchange. The person who is technically responsible for insuring the property may depend on the terms of the contract that the parties have exchanged. 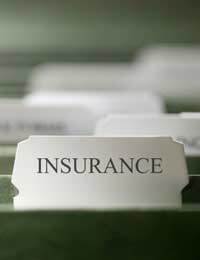 However, even if the contract makes it clear that either the buyer or the seller is responsible for buildings insurance, the other party may not feel that this offers sufficient protection if something goes wrong. This could lead to the situation where something does go wrong and two different insurance companies have cover in place. Naturally both companies will not pay out so this could lead to an argument between the companies over which one is liable to pay for the damage. Between exchange and completion the vendor has a duty to maintain the condition of the property. However, under common law, the responsibility for the property passes to the buyer as soon as contracts have exchanged. Therefore, if the property is destroyed or damaged between exchange and completion the buyer will still be contractually obliged to complete on the sale. This means that it is the buyer’s responsibility to insure the property from the moment contracts have exchanged. With leasehold properties the lease should be examined to see who has responsibility for insuring the property. In situations where the lessee is responsible for insuring the property (i.e. the person who actually occupies the property) the same rules will generally apply. There are a set of prescribed standard terms and conditions that may apply to a contract for the sale of property. Some or all of these may be included in the contract for a particular sale. Under these contract terms the vendor has an obligation to transfer the property to the buyer in substantially the same physical state as it was when contracts were exchanged. If the property becomes “unusable for its purpose” between the date of exchange and the date set for completion, the buyer may refuse to complete on the sale. Crucially, whilst the seller largely retains responsibility for the property, the standard contract terms specifically state that the seller is under no obligation to insure the property during this time. Therefore a buyer may want to consider requesting a term in the contract which obliges the seller to maintain buildings insurance, pending completion. If the contract does not include the standard terms and conditions there are other legal provisions which could apply in a situation where a property is damaged between exchange and completion. For example, unless the contract specifically excludes section 47 of the Law of Property Act 1925, a buyer could rely on this to make a claim on the seller’s buildings insurance policy. Certain criteria must apply for this to work – not least of all that the vendor actually kept his insurance policy live. In addition, the insurance company will have to consent to this. If the provision is applicable the insurance money may be paid to the buyer after completion of the sale. All newly built, or newly converted, properties should come with structural defects insurance. The most common form of such insurance is that provided by the NHBC Buildmark scheme. A property insured under this scheme will be protected for 10 years from the date on which it was constructed. When contracts on the property are exchanged the buyer should receive a set of documents about the Buildmark scheme, including a form which enables the buyer to accept the insurance policy. This should be signed by the buyer and returned to NHBC. As soon as they receive the form the property will be insured. It may prove impossible to get a mortgage on any newly built properties not covered by Buildmark or a similar structural defects insurance scheme. In addition the future re-sale potential of a property not covered in this way will be much lower than that of an insured property.